Fighting fraud is an ever-escalating arms race, with criminals working to exploit the next loophole as soon as the financial services industry closes the last one. Your customers are an important ally in this fight, with mobile messaging giving you the tools to act responsively to threats as well as build your relationship with them. Fraud is an increasing problem, with the annual global losses generated by credit, debit and other cards alone totalling $US16 billion and predicted to grow to $35.5 billion by 2020, according to The Nilson Report. Essentially, for every $US100 spent on cards, just over $US5 will be fraudulent. Protecting yourself from losses needs to be balanced with minimising the disruption for your customers. Even though customers want to know their money is secure, there’s still nothing more frustrating than having to phone a call center to discover the reason they couldn’t pay for groceries is because their card has been frozen due to suspicious activity. Mobile messaging finds the union between security and customer experience, with an SMS the ideal way to beef up security on your offerings, from delivering a one-time password for an extra layer of authentication in online backing, to alerting customers to suspicious activity on their card, without introducing inconvenient roadblocks. The easiest way to hit the mark is to make the target really big and it’s harder to think of anything bigger than the cell phone. Most people have one and the majority of them are smartphones. More than half of smartphone owners have used their handset for online banking in the past year, according to the Pew Research Center, so it’s an environment they’re comfortable using for financial transactions. It’s not just that people have phones, either, it’s that they use them a lot. The University of Nottingham Trent suggest that people check their phones 85 times a day (double what they self-report), while others have found that 90 per cent of text messages are read within three minutes. Further, text messaging is platform agnostic, so you don’t have to worry about compatibility with different operating systems or older models. The faster you confirm fraud, the quicker you can react to it. 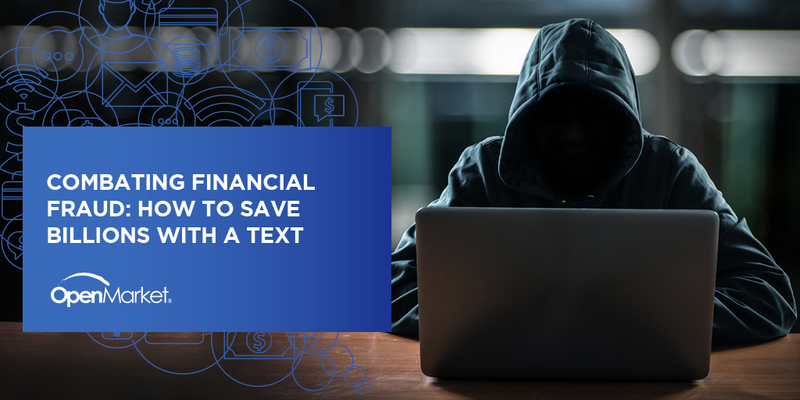 The ability to text details of a suspicious activity to your customers, and have them confirm or deny a transaction, means you can quickly deal with issues and reduce the scale of losses. One study by FICO found that 30 per cent of alerts were confirmed as fraud within 10 minutes. Even if it’s a false alarm, customers are unlikely to mind if it avoids the inconvenience of purchases being incorrectly declined. One US bank reduced net fraud losses by 75 per cent after it implemented an auto-resolution system. This triggered a text to customers when there was a suspicious transaction or an additional name was added to an account. Stopping criminals from siphoning off large sums of money is the most immediate cost reduction, but it’s far from the only one. In the past, banks have been reluctant to act on borderline suspicious activity for fear of inconveniencing customers if everything is above board. Mobile messaging reduces the consequences of false positives, allowing them to cast the net wider to stop more cases of fraud. By creating a two-way communications channel, customers can resolve the issue without having to talk to a customer service representative, reducing the demands on your call center and decreasing the time your organization spends on each fraud case. With faster turnaround of each case, it’s also easier to recognise a change in criminal methods and implement responses faster. One in three customers who are the victim of fraud attacks will either close the account, stop using it or use it less, according to research by Ovum/Datamonitor. Mobile messaging can help stem the loss of customers, since 89 per cent of respondents to the FICO survey have said auto-alerts increased their confidence in using their card. Even if it turns out to be a false alarm, the customer is reassured that you’re looking out for them. Fraud is growing by the year. Being able to communicate with customers quickly when you need it most is an important weapon in the fight against financial crime. Download our free e-book to learn how you can use mobile messaging to reach financial services customers when it really matters. This article was originally published in Asia Pacific Security Magazine.